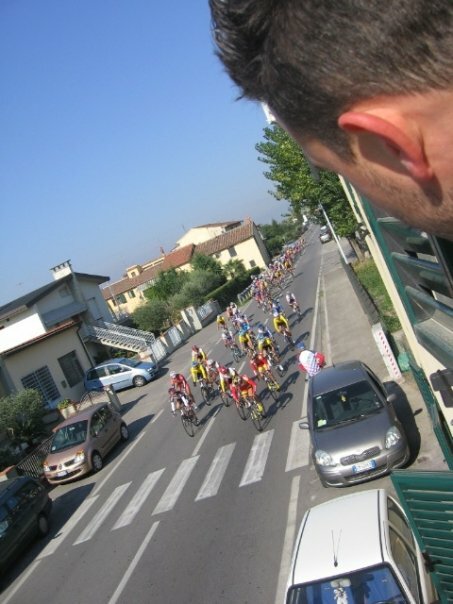 It’s not everyday that you have some of the world’s best athletes passing literally RIGHT in front of your house. It’s almost time for the first test race to start from Pistoia, and when they do they’ll be heading directly down via Statale, the road that connects Pistoia with Florence which happens to be the one I live on. This is a huge even for Tuscany and preparations have been in the works for months, with one of the biggest benefits (albiet quite annoying in the few days they were doing road work) is our nice, pristine streets. Of course, the thousands of yellow signs alerting of the road closures that will be in effect for the next week has a lot of people groaning. I’ve even heard that people are calling off work for a week because it will be impossible for them to get there. But, while I’m not incredibly passionate for the sport, I’m really excited that such a huge event will be take place right here! I also like the fact that it’s bringing in some extra money for local businesses, which is more welcome than ever right now. Just down the road there’s a little cycling village set up with tents from local vendors and a few restaurants to celebrate the event coming to Seano. And while the whole parking my car a long distance from the house and the road closures are a bit annoying, I’m just going to sit back, relax on my balcony and cheer on Italia and USA with a glass of wine in hand! My parents took me on my first camping trip when I was 2 months old and I haven’t stopped traveling since. My curiosity for new people, cultures, landscapes, food, ideas and opinions has brought me to where I am today: living in Northern California with my Italian husband, dog an AmerItalian son. Having spent my formative adult years living in Tuscany and then starting my life completely over yet again back in the U.S., I have been able to experience life through different lenses. I started this blog several years ago because I felt like I’d explode if I kept all my experiences of living in Italy it inside. I was barely able to scratch the surface before be began making plans to move stateside. So here I find myself with 5 more years of post-expat experiences, just bursting to get out of my head. My intentions are simple: since I love to connect with people and share stories, I hope by putting mine out there, I might be able to connect with others who have their own to tell. I don't consider myself to be a writer and I am not the best at self-editing...you have been warned! 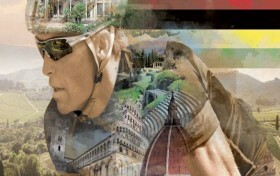 This entry was posted in La Vita Italia and tagged team USA, Uci Road World Championships. Bookmark the permalink. Oooh!! Old car races can be pretty exciting as well!! We have men’s individual races today, it’s quite the event for the neighborhood and it’s fun seeing all the vecchi coming out and commenting on all the commotion. I need to check it out finally! With my favorite kid doing my favorite thing ⛺️ 🌲 had a short but sweet trip down to my old stomping grounds this weekend. Being a good soldier and eating my gluten (with Ragu alla Fabino and olio di oliva da San Cancasciano). T- 2 days until D-day (or should I say G day)? When you walk into the grocery store and are immediately presented with tulips and daffodils... 🤗🌷💐 Thankful our local Sprouts doesn’t let ‘leftover’ Vday gifts go to waste!